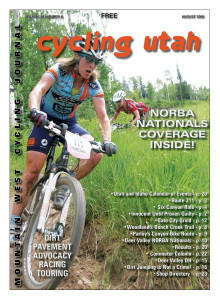 Cycling Utah’s August 2006 Issue is Now Available! Cover Photo: Kathy Sherwin (Ford Cycling) rolled to a ninth place finish in the Deer Valley Nationals XC on July 8th. She's shown here leading Dara Marks-Marino (Titus/Kenda).